Collecting is something you do with your family. Hoarding is when your collection BECOMES your family. If you’re trying to help a family member or friend who you think is a hoarder, proceed with caution. Simply going into the space and clearing it out can be traumatic to the individual. Even if it looks like junk to you, there is usually a very real reason why the individual chose to keep the item. Ideally, you will utilize the help of a counselor or other mental health professional. 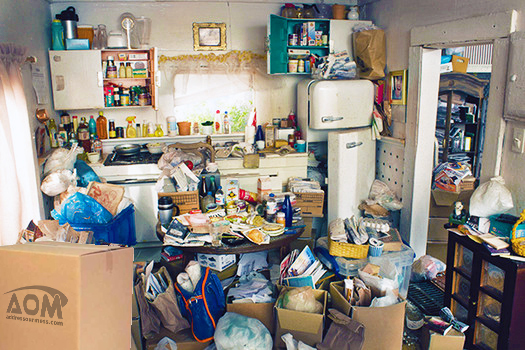 There is a reason hoarding is recognizes as an actual psychological disorder. Remember: it is a slow process. To be effective and last, you must address the mental concurrently with the physical. If you’re thinking about helping a loved one, I suggest visiting Matt’s website to learn as much as you can before starting.